The wild saga of the kidnapping, crimes and trial of Patty Hearst, from the author of The Run of His Life: The People v. O.J. Simpson. American Heiress is a page-turner certainly, but Toobin, a gifted writer, infuses it with much more, including vivid portraits of Hearst, her family — her mother in particular, a rigid arch-conservative — and the members of the SLA. Even if he ridicules the ideas and condemns the violent deeds of this ragtag group of revolutionary wannabes, they emerge not as cardboard villains but flesh and blood protagonists. Mr. Toobin has used the same winning formula of delving deeply into an American crime story that had tremendous notoriety in its day and retelling it with new resonance ... The book’s legal pièce de résistance is how Mr. Bailey bungled Ms. Hearst’s defense in charges of robbing the Hibernia Bank in San Francisco, the first of several crimes for which she was accused. In American Heiress, Toobin has crafted a book for the expert and the uninitiated alike, a smart page-turner that boasts a cache of never-before-published details ... Throughout, Toobin’s book successfully captures the unrivaled spectacle of the Hearst drama ... The Heiress has an obvious, if unavoidable, shortcoming: Because Hearst declined Toobin’s interview requests, we don’t know what she makes of all this 40 years later. Nonetheless, he conveys a sense of how much of Hearst’s life has changed. 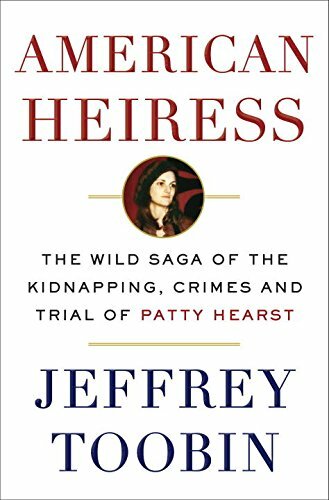 What did you think of American Heiress: The Wild Saga of the Kidnapping, Crimes and Trial of Patty Hearst?